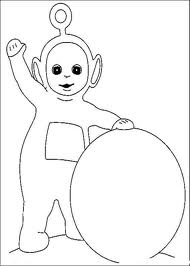 Have you ever seen a child between 18 months and 4 years watch an episode of Teletubbies? He is literally captivated! This is certainly due to the extremely childish that many parents banish this series from the video side of their children. 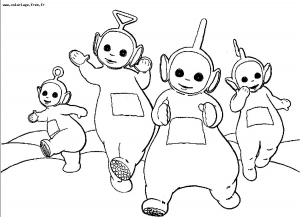 You decide if this is a good or bad … Meanwhile, these Teletubbies pictures to print does not hurt, and allow your young children to perform simple coloring with Twinky Winky, Dipsy, Lala and Po !